Hello there, if you are seeing this, I am sure you have noticed the new look website. I have been working on this design off and on for a few months now, so firstly I hope you like it. 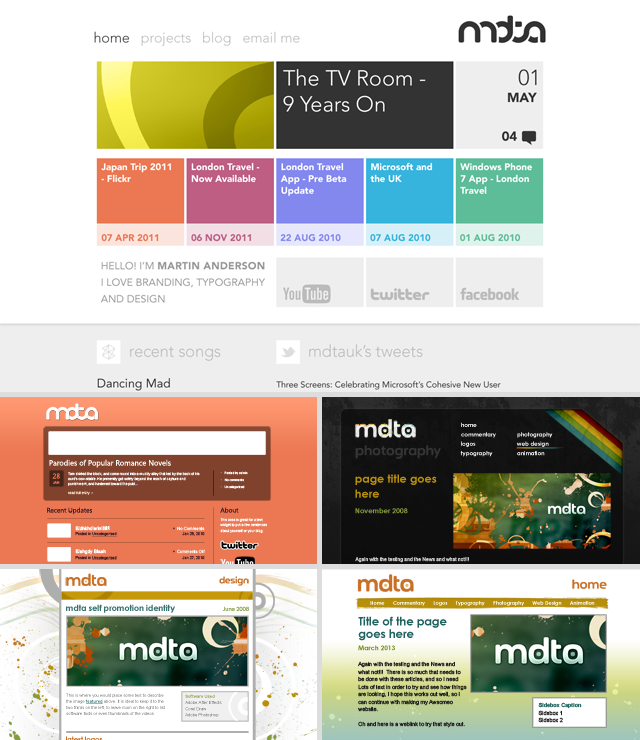 You can tell my year and a bit working with Windows Phone 7 has given me a bit of inspiration, but if you look at some of the early designs I had for this website, you will see I have not totally being taken over by the Metro design. In fact it was because Metro (The new Microsoft UI design) was so like my own personal sense of minimalist design, that got me so interested and excited in working with it. But it is all still new, and there may be bugs or other issues, so if any of you notice any problems, please go to the Email Me page and let me know, and I will try to get them all fixed as soon as I can. I will be going back over older posts, and updating the layouts and some images slightly to look a little better with the new layout, so please bare with me as I get to those in the next few weeks. What a beautiful website design! Wonderful work you do Martin and to a brilliant standard as always!